Next week is a really exciting event for us here at mySociety International. 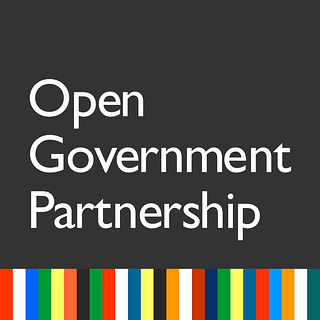 You’ve probably heard about it; the Open Government Partnership annual meeting. This coincides with Global Transparency Week and a lot of international friends grouping in London for the first time in a while. It’s going to be good to catch up on interesting projects from other international groups. And don’t forget to come along to our drinks if you’re in town! A few more things about OGP before I let you know what we’ve been up to over the past month. We’re hosting a panel at OGP and we’ll have Matthew Landauer (Open Australia), Maria Baron (Fundación Directorio Legislativo), Stephen Abbott (UK Government) and Paul Lenz (mySociety) talking, with Tom Steinberg (mySociety) chairing. We’ll have a stand in the festival area both days. I’ll be on that so please drop by and say hello! We’ll ALSO be running a small workshop with our friends from Ciudadano Inteligente on POPLUS. We haven’t got a time for this yet, but it will be on Thursday 31st October. More details will be on Twitter (@mysocietyintl) closer to the time. Over the past few months we’ve been working on a Pombola website with PMG from South Africa. We’re getting closer to completing this and can’t wait to show you the results. We’re also hoping to start work really soon on an Alaveteli install for South Africa, so watch this space! Other Alaveteli sites are nearing completion in Ukraine, Italy and Croatia. More on those as they appear… If you have installed Alaveteli, Pombola or FixMyStreet and not had contact with our international team please do drop us a line! We love to hear from you! Along this vein we recently came across Nuvasuparati in Romania and Aduanku in Malaysia. The best kind of surprise! We are still offering some days of assistance to people that want help or advice setting up these sites, so do get in touch if this is you. Don’t be shy! We can discuss your ideas and your project and see where we can help. If you want a more formal chat, send me an email before the date and I’ll arrange a meet up. Especially for Dave’s Malaysia and Singapore trips as these are arranged expressly with the idea that we will spend time with interested local groups!